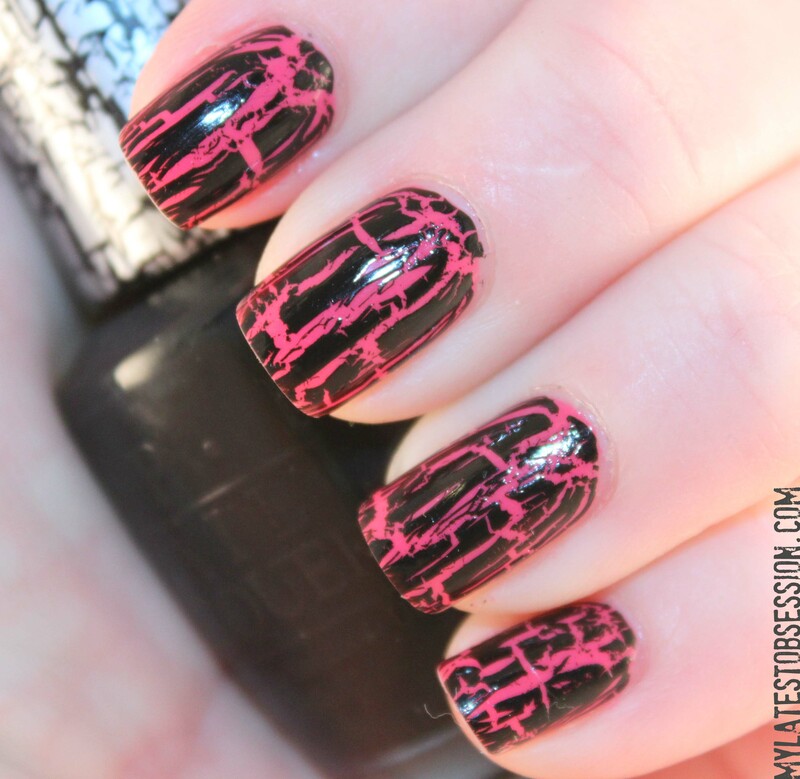 I have been adding crackle to evvvvvvverything lately! I love it. 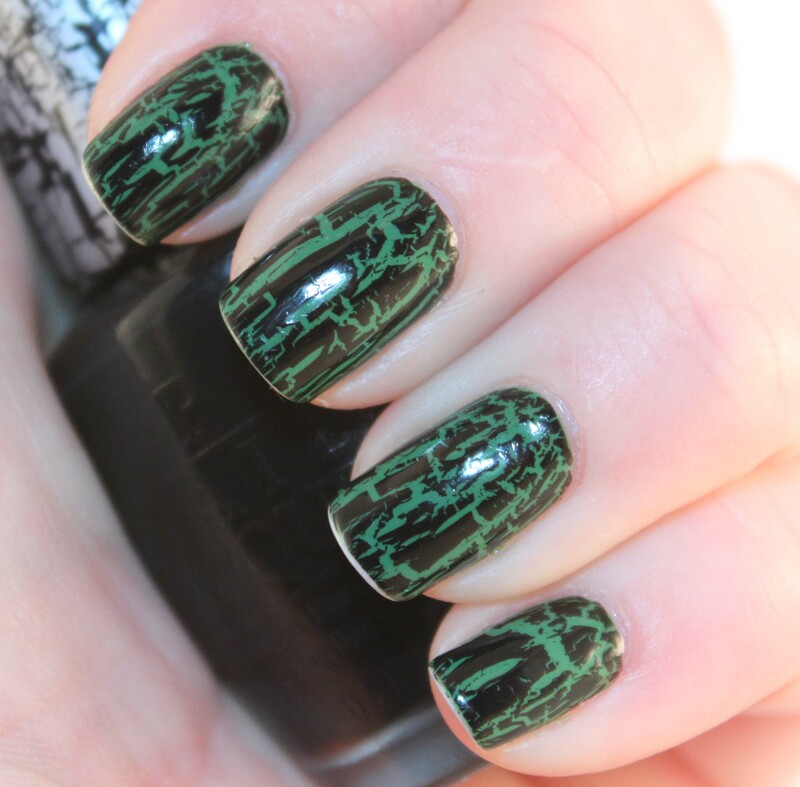 This is Sinful Colors – Scandal with Black Shatter. I loooooove how bright it is against the black. And China Glaze – Starboard with Black Shatter. Pretty bright again! Dr’s Remedy – Healing with Black Shatter. Now this one I’m not too fond of, it isn’t enough contrast so it ends up looking dull. 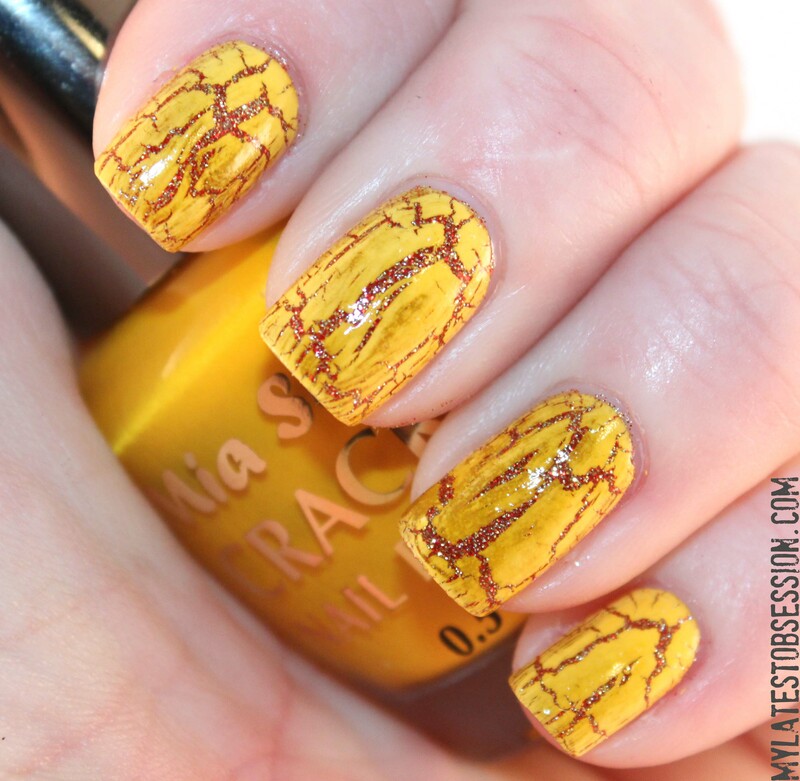 This is Mia Crackle polish in Gold, over Finger Paints Holly Good Time. And…it’s terrible. The yellow (not gold!) 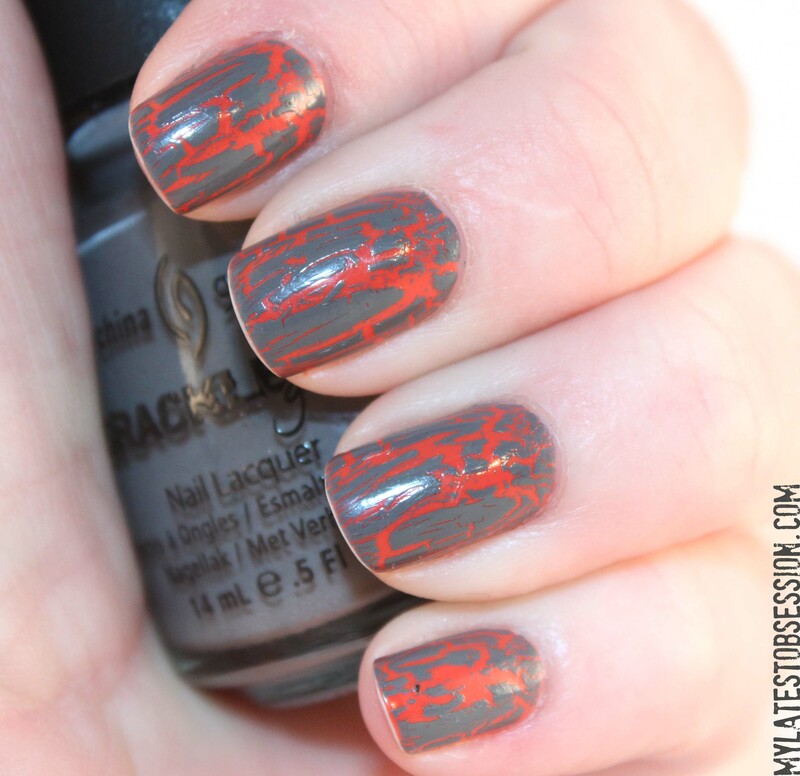 crackle polish isn’t opaque enough so it looks splotchy. However, the blue Mia crackle I’ve tried was AWESOME.